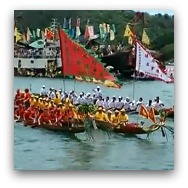 Front and center for June 2013 is the Dragon Boat Festival, exciting races and carnivals will be held throughout the territory. Here is a guide to the most popular spots to catch these colorful and electrifying events. 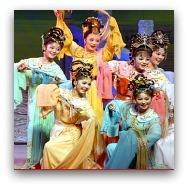 In the Cultural front, the Chinese Opera Festival is kicking off this month and will run through July 28, 2013. 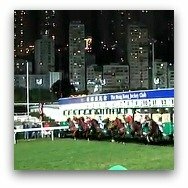 Last Chance for the Horse Races at Happy Valley! 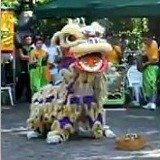 A visit to Tai O, is a must for all travellers, and on this day, the town comes alive and you get to glimpse another facet of this otherwise sleepy and tranquil town, don't miss it if you are around. 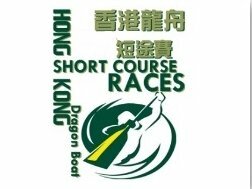 Most of the festivities will be in the morning, so you still have time to make it to the main races at Stanley or the other sites throughout Hong Kong, which normally end in the afternoon. When? : June 12, 2013, 8:00 a.m. - approx. 2:00 p.m. 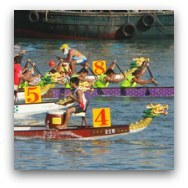 Sponsored by the Hong Kong Dragon Boat Association, this event along with the Stanley Dragon Boat Championships, is one of the top events in the dragon boat-racing calendar. 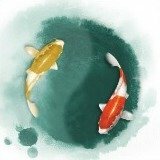 International teams as well as local and company sponsored teams compete in one of the most prestigious of tournaments. Where? 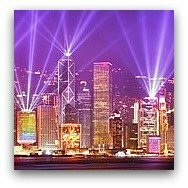 : Victoria Harbour, Tsim Sha Tsui East Promenade. 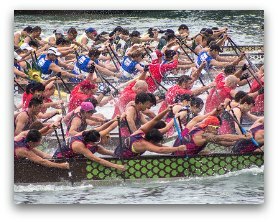 Celebrated 3 weeks after the main races of the Tuen Ng festival, as the name suggests, the races are on a shorter course, only 200 meters. When? : June 30, 2013, 9:00 a.m. - approx. 4:00 p.m.